Cedar is a great choice for building a fence because of its durability and versatility. It's a soft wood that is resistant to rot, making it ideal for exterior applications around homes in the rainy Pacific Northwest. Being soft, cedar is easy to work with, and is resistant to splitting when nailed or screwed. Cedar is also great for accepting stains and penetrating finishes once the wood is dry. Plus it’s got a sweet, aromatic smell that you'll notice as you work with it. So if you're building a fence, cedar boards are the way to go! 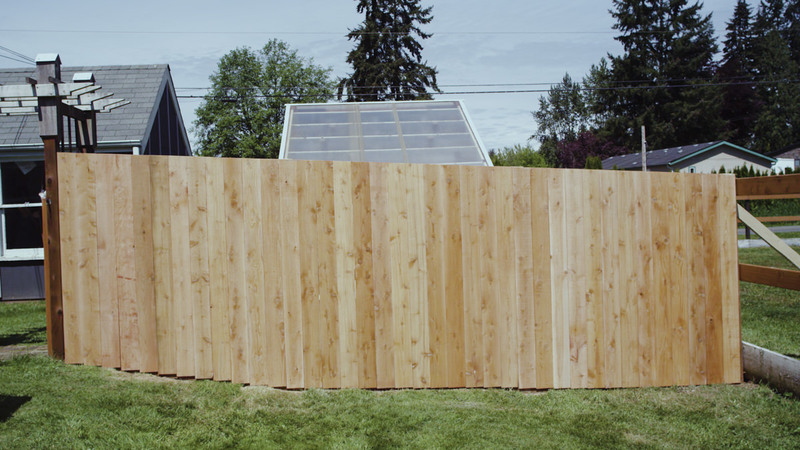 With a few pointers provided in this post and video, you should be able to build a sturdy cedar fence with relative ease. Cedar fence boards are usually rough-sawn, tight knot, and milled green—meaning the boards are still full of moisture when you purchase them. There are also different grades of cedar fencing. #1 tight knot cedar is milled to a rough-sawn surface, and comes in a six foot length (we're using #1 tight knot cedar in the video above). 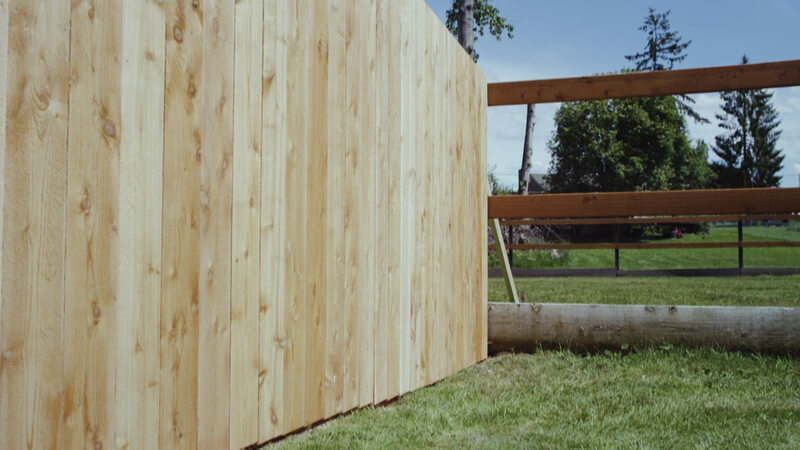 In comparison, a #2 tight knot cedar fence board includes more natural blemishes and mill surface inconsistencies. Whichever kind of cedar you choose, make sure the boards are dry before applying any penetrating finishes or paints. Your posts and cross rails should be cedar or a ground contact, pressure-treated wood. Ground contact, pressure-treated wood has incisor marks in the surface that allows proper penetration of the treatment solution. 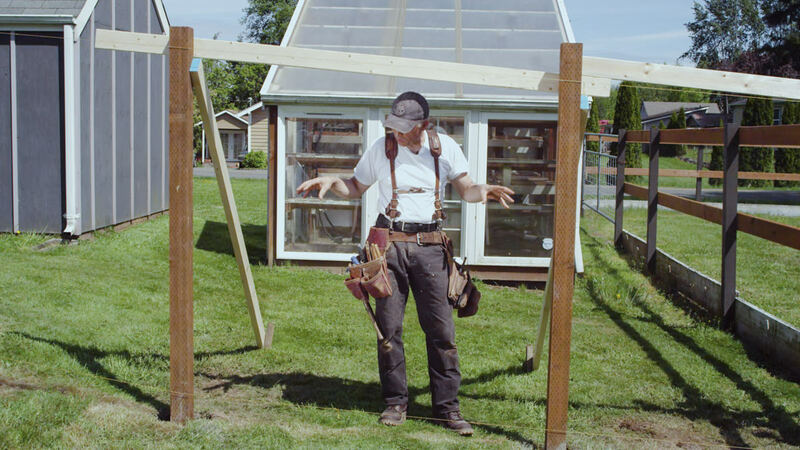 I think a six foot span between posts is ideal, so laying out the posts in equidistant portions closest to your six foot measurement (or perhaps a bit less) will yield the best looking fence—while avoiding a short section at one end. 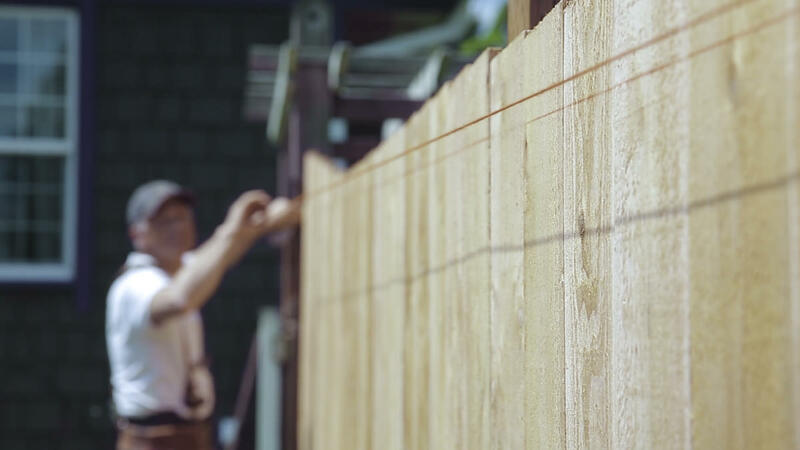 There are several ways to fasten your fence boards, ranging from hand-driven galvanized (or stainless steel) fencing nails, to screws or nail gun nails. They all have a round head to hold the fence boards in place securely, and if you look closely—most of these fasteners are “twisted” in the shank, or have “ribbed” rings normally called a ring shank. This irregularity in the shank is important because it works with the flat round head to hold your fence boards better. These features will resist loosening as the years add up and the seasons change—factors otherwise known to cause the wood to shift. For fastening the cross rails, I like using exterior, ceramic-coated screws. Below is a general list of the chronological steps to follow when building a fence. Dig the holes approximately 20” to 24” down into the ground. Install the posts and brace off using string lines for reference. A little gravel in the bottom of the hole will help with drainage over time. Mix and place the concrete. Sloping the top of the concrete away from the post will prevent water from sitting against the post. This simple practice will help longevity. Install the cross rails. It's best to use three rails. I like to use a 2x6 pressure-treated ground contact wood at the bottom. Install flush with the sides of the posts on the side where you want the fencing applied. Usually the exposed rails are toward the inside of the yard—the idea being that the beautiful side is facing toward the outside of the property, where everyone can see it. Install the fencing starting at one end, using galvanized or stainless steel fencing or siding nails. Once done, it's time to cut the tops in a straight line. I like to use a chalk line from one end to the other. When snapped, the chalk will leave a nice straight line to follow when cutting off the cedar fencing tops. I’m a big fan of reusing cedar. Maybe it’s because I’ve spent many years making do with what I had around, and just got into the habit. 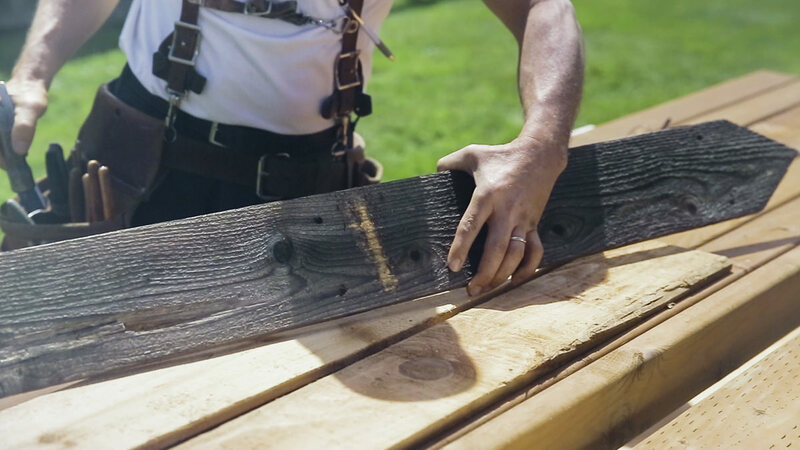 Although your old cedar fence looks gray and weathered on the surface, the wood underneath may still be in good shape—so you might want to keep the old boards for future fun projects around your home. I have a whole pile of old gray cedar fence boards I use for everything from making boxes to birdhouses. Cedar is my favorite wood to work with. I've had the privilege to use it while building everything from decks and fences to siding and exterior trim work. These projects (and more) are perfect applications for the beautiful, natural, long-lasting wood we know as cedar. 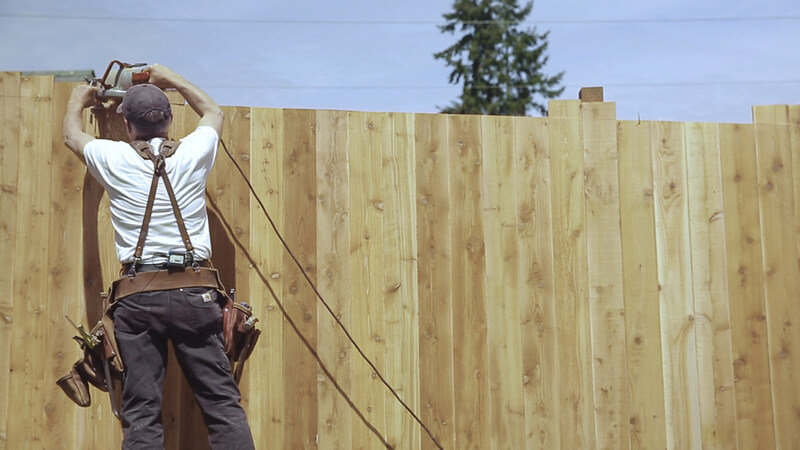 By following the steps and advice in this post, you'll have a new, durable cedar fence! Part two of our series on restoring the historic windows at Seattle's Moana Apartments.